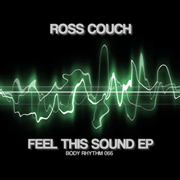 My final release of the year, the ‘Feel This Sound EP’ is now out on full release at all the usual stores. It’s been a pretty good year for me on the music front and hopefully the three tracks on this release can help end it on a high. Early support for the tracks coming from the likes of Shur-I-Kan, Giom, Ashley Beedle, CJ Mackintosh and Richard Earnshaw.